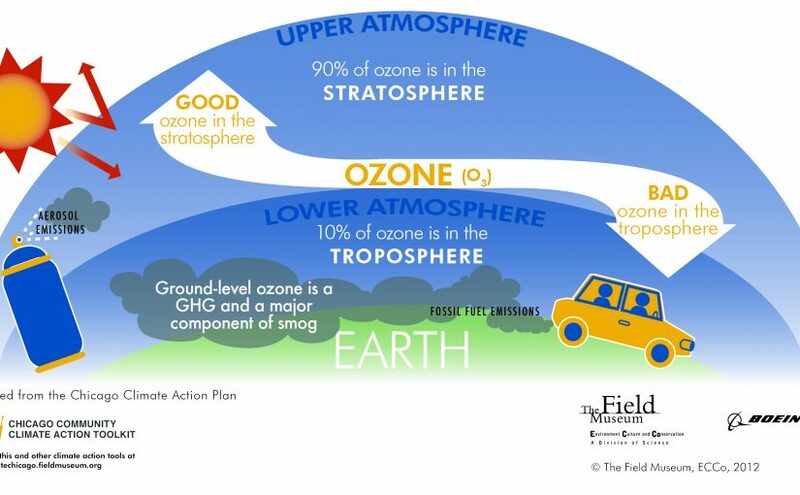 Called stratospheric ozone, good ozone occurs naturally in the upper atmosphere, where it forms a layer that protects us from the sun’s harmful UV radiation. However, Ozone at ground level (tropospheric) is a harmful air pollutant, created by chemical reactions between oxides of nitrogen (NOx) and volatile organic compounds (VOC) in the presence of sunlight. Despite numerous efforts to reduce and control O3, background concentrations in the northern hemisphere have more than doubled since the industrial revolution, and peak values continue to exceed the WHO guideline in many countries, including Latin America, North America, Europe, and Africa. In 2012-2014 up to 17% of the urban population in Europe was exposed to O3 levels above the EU target of 120 μg/m3 (EEA report 2016). Ozone levels typically become particularly high in regions where considerable emissions of NOx and VOC gases combine with stagnant meteorological conditions, high levels of solar radiation and high temperatures during the summer but can still reach high levels during colder months. Exposure to O3 correlates with higher pulmonary and cardiovascular mortality and affects reproductive health and the central nervous system acutely and chronically. But also, O3 is considered to be one of the most noxious pollutants to the cutaneous tissue. Recent evidence suggests a positive correlation of O3 exposure with oxidative damage, impaired antioxidant defense, depletion of vitamin E and C, and proinflammatory response in the skin. Epidemiological studies evidence that long-term exposure to O3 is associated with coarse wrinkles, a marker of extrinsic aging in Caucasian men and women and this association is independent of UV exposure and other pollutants. As concentrations of O3 are rising in many regions of the world, and while air pollution may be difficult, if not impossible, to escape, there are some ways you can help to counteract its effects on your skin. So, in addition to adopting great skin care habits, it is important to include in the diet antioxidant-rich foods or supplements (ZeroPollution) to help fight oxidative stress caused by pollution.